The British Columbia wine industry has been revitalized through the skill and dedication of a new generation of grape growers and winemakers. Grape growers have replanted their land with the best-suited vines, while wineries have expanded their facilities, upgraded equipment and secured the finest winemakers from new and old world wine regions. Journey to wine country, meet with the vintners and their staff and discover an exceptional range of premium wines that marks the new era of the British Columbia wine industry. The VQA (Vintners Quality Alliance) seal is awarded to wines that make a quality statement. All VQA wines are made to strict standards and are tasted by a panel of experts before being approved by the British Columbia Wine Institute. The VQA seal is your assurance of quality. 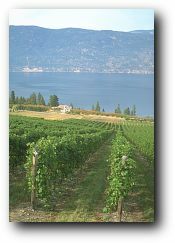 British Columbia's Viticulture areas are located in two distinct wine-growing regions: the coastal areas of Vancouver Island and the Fraser Valley and the Okanagan and Similkameen Valleys in the southern, inland part of the province. Located in central British Columbia, the largest and oldest region is the Okanagan Valley. Today, the beautiful, 100-mile long valley features over 30 wineries and is planted with 3,000 acres of premium grape varieties. The south end of the valley, with less than six inches of rainfall a year, is the only classified desert area in Canada. The north end of the valley, receives less than sixteen inches. 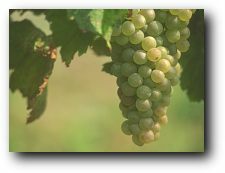 Classic red vinifera grapes are widely planted in the south end, while French and Germanic white grape varieties planted in the north. 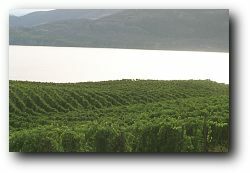 The Okanagan Valley, is also one of the largest tourist destinations in British Columbia. To the west of the Okanagan Valley, through the mountains, is the high desert cattle country of the Similkameen Valley. Nestled along side the picturesque Similkameen River and surrounded by steep mountains, the region's two wineries have 40 hectares planted along the river edge. The climate in the Okanagan/Similkameen is governed by the region's location in the lee of the Coast Mountain Range. 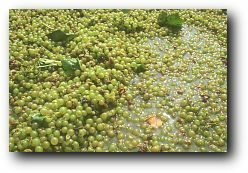 It has hot,dry summers, long hours of sunshine and low humidity. Great Estates of the Okanagan - Visit 5 of the most exceptional wineries in the Okanagan Valley for a unique touring experience. This tour route, not marked on the standard wine tour maps, will take you through some of the most breathtaking scenery, & unique wineries in the Okanagan. "Open daily from noon to 5 pm." "Open daily from 9 am to 6 pm from Victoria Day weekend to Labour Day weekend. Winter hours are daily from 10 am to 5 pm. Winery tours are available." "Open daily from 10 am to 6 pm from Easter until Thanksgiving. Winter hours are weekends from 10 am to 6 pm or by appointment." "Open daily from 9:30 am to 5:30 pm weekdays April through October, 10:00 to 6:00 weekends, and 9:30 am to 5 pm Monday to Saturday, November through March. Tours run at 11:00 am, 2:00, 3:00 and 4:00 pm May through October." "Open daily from 10 am to 6 pm." "Open daily from 9am to dusk." "Open daily from 10 am to 5 pm July through September and 10 am to 5 pm Monday to Friday, 10 am to 1 pm Saturday, October through June. Tours are by appointment." "Open daily from 9:30 am to 8 pm." "Open daily from 10 am to 5 pm May through October and 11 am to 5 pm Monday to Saturday November through April." "Open from 10 am to 5 pm Tuesday to Sunday, May through October and 1 pm to 5 pm Thursday to Sunday, November through April." "Open daily from 9 am to 5 pm." "Open daily from 10 am to 5 pm Monday through Sunday, June through November and Monday through Friday, December through May." "Open daily from 10 am to 6 pm. Reservations are required for tours over 20 people." "Open daily from 10 am to 5:30 pm." "Open daily from 10 am to 4 pm from the May long weekend until mid-October. Winter hours are Monday to Friday." "Open from 9 am to 4:30 pm Monday to Friday with tours at 10 am and 2 pm. Reservations are required for tours over 10 people." "Open daily from 10 am to 6 pm June through October and Tuesday through Saturday in April and May. Closed October through April." "Open daily from 11 am to 5 pm May through mid-October. Winter tastings are by appointment." "Open daily noon to 5 pm May through October. November through April please call ahead." "Open daily from 10-7 pm in the summer, 10-5pm in the winter. Call ahead for seasonal tour schedules." "Open from 11 am to 5 pm Tuesday to Sunday, May through October. November through April please call ahead." "Open daily from 10 am to 6 pm June through September and 10 am to 5 pm October through May. 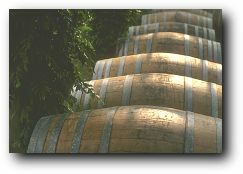 Winery tours available each day." Recline Ridge is open every day throughout the summer from 11:30am to 6:00pm. Please join us for a tour and taste our wines. "Open daily from 10 am to 6 pm May through October. November through April please call ahead." "Open daily from noon to 5:30 pm April through October. November through March please call ahead." "Open daily from 10 am to 5:30 pm May through October and noon to 5 pm Tuesday to Saturday, November through April." "Open daily from 10 am to 5 pm May long weekend through Thanksgiving. Winter hours please call ahead." "Open daily from 9 am to 6 pm. Tours hourly 10 am to 4 pm." "Open daily from 10 am to 5 pm." Vancouver Island, situated off the coast of British Columbia, is the newest wine growing region. An hour drive from Victoria, hillside vineyards wind along country lanes that link historic towns. Most of the 20 hectares of grapes are planted in the southeast, near the town of Duncan. East of the city of Vancouver is the expansive and fertile Fraser Valley farming community - the largest agricultural region of the province. There are currently 20 hectars of grapes and two wineries within a half hour drive of Vancouver. The coastal growing regions enjoy warm, rainy winters, and hot, dry summers. 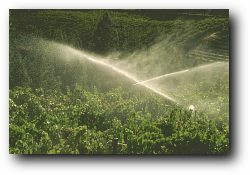 Like the interior region, irrigation is required for grape production. "Open from 11 am to 5 pm Wednesday, Friday, Saturday and Sunday." "Open daily from 11:30 am to 6 pm." "Open from 11 am to 5 pm Tuesday and Wednesday, 11 am to 7 pm Thursday through Sunday (and Holiday Mondays May through October. November through April please call ahead." Swans Suite Hotel, located minutes from the Victoria Inner Harbour and walking distance to restaurants, shopping, theaters and other attractions. We offer 29 suites, and a 3,000 sq ft penthouse with roof terrace overlooking the Inner Harbour, The famous brewpub and award winning beers, bistro and 7 nights live music is perfect for corporate, leisure or family travels. "Open from 10 am to 6 pm Monday to Saturday, noon to 5 pm Sunday, March through December and 10 am to 5 pm Monday to Saturday in January and February. Tours are available on weekends from 2 pm to 4 pm mid-April through August." "Open from 9 am to 5 pm Monday through Friday."